Integrating a scared rescue dog into a home... — Havers Dog Behaviour. This can be a huge challenge as fear is one of the most difficult behaviours to work with. 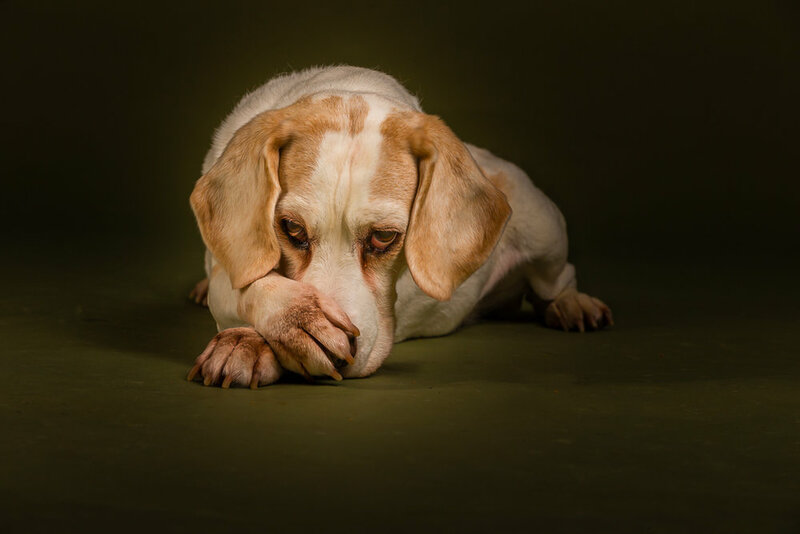 a scared dog can have associations that you are not aware of, they may have experiences you have no idea of and you probably don’t want to know as it can be a scary place for a dog when in the wrong hands. A dog that was found hiding in a tractor tyre and from the state of her teats, she has been a mummy, probably more than once. She is supposed to be a Great Dane cross, I don’t know if that is the case but she is certainly a scared dog who has spent some time in a rescue centre before coming to her new home. When her new owners went to see her, her behaviour in and around the kennels gave then no cause for concern, in fact the new owners were told they would learn more about the dog in the first few days of having her at home than the kennels had learned in months. Dogs never display their true behaviour and character in kennels as their exposure to people is limited and the transition from kennels to a home environment can be very stressful for a dog who has probably only ever had limited human contact. She certainly showed a lot more behaviour when she arrived at her new home with some behaviours that were worrying, particularly rushing up to people with a very worrying sounding bark. She is in full bark hence the blur in the photograph and she was desperately trying to control me and to keep me away from her. Her new owners told me she has flinched away from sudden hand movements which you can understand then why she is so scared. She made no attempt whatsoever to bite, even when in close proximity but her vocalisation would convince many a lesser soul that is exactly what she would do as the noise she can create is very intimidating. To help a fearful or scared dog relax, it is very important we do not match her behaviour, we cannot react to it as that can add to her stress and confusion. Instead we have to earn her trust by remaining calm and relaxed as this will allow her to match our behaviour. We can praise her when she is quiet and relaxed as this is the behaviour we want her to associate with us and our attention. Sure enough, she retreated to her travel crate where she lay down and did relax. She maintained an attentive ear to make sure she knew what we were up to and she remained nice and calm. She is very reactive to noise and stimulation which it is why ot ois very important we don’t react to her reaction, again very difficult when she makes the amount of noise she does but she soon returned to her travel crate and relaxed again. A few hours after the visit was over, I had a text from the owner who told me they had received a visitor and the dog calmed down much quicker because she had carried on the work we had done in the earlier home visit. There is always hope for our dogs if we are prepared to change our behaviour to help them and you will need help to understand how your behaviour affects theirs and I can help you with that and will be happy to do so. Everyone wants a calm, relaxed and well behaved dog, it just depends on how hard they are prepared to work and if they are prepared to change their behaviour.